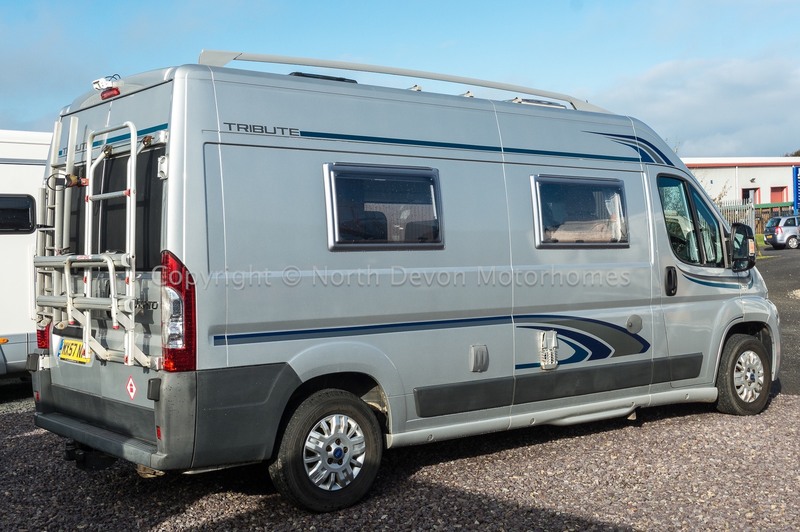 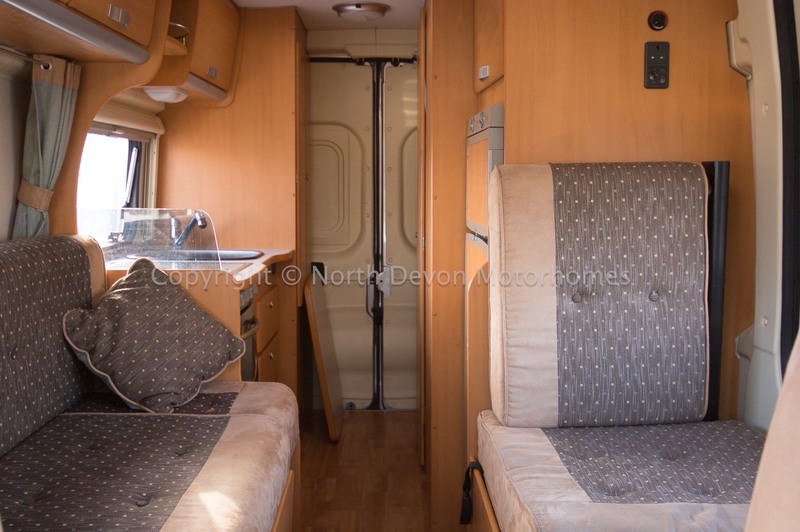 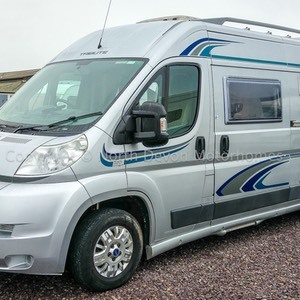 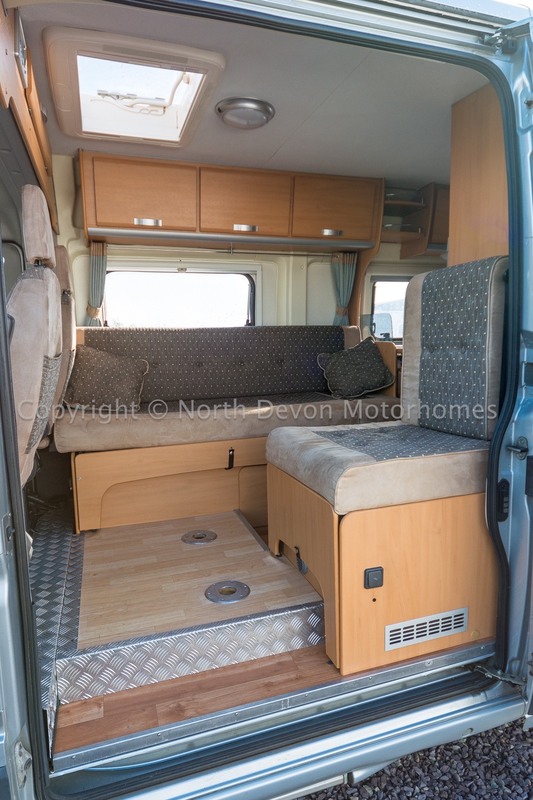 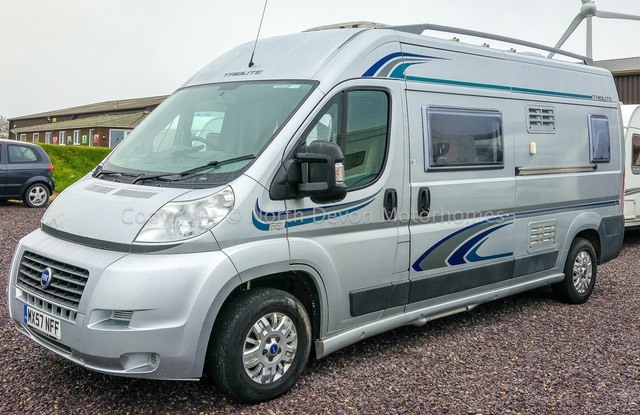 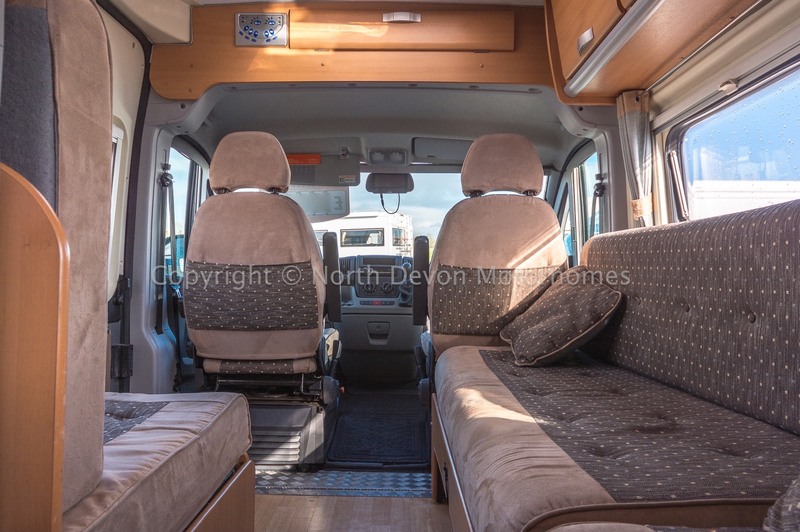 Trigano Tribute based on Fiat Ducato 2.3 JTD 120 Multijet ( Euro 4 LEZ Compliant ) with 6 speed gearbox and 59600 on the clock. 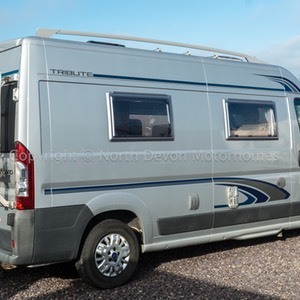 Sold with Full Hab and Mechanical service, 12 Months Warranty and MOT. 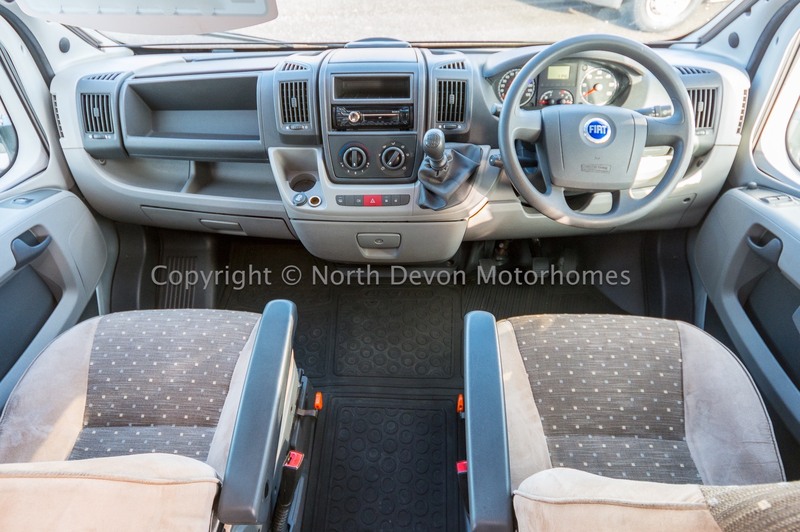 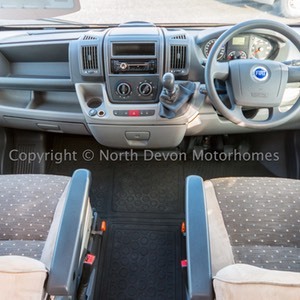 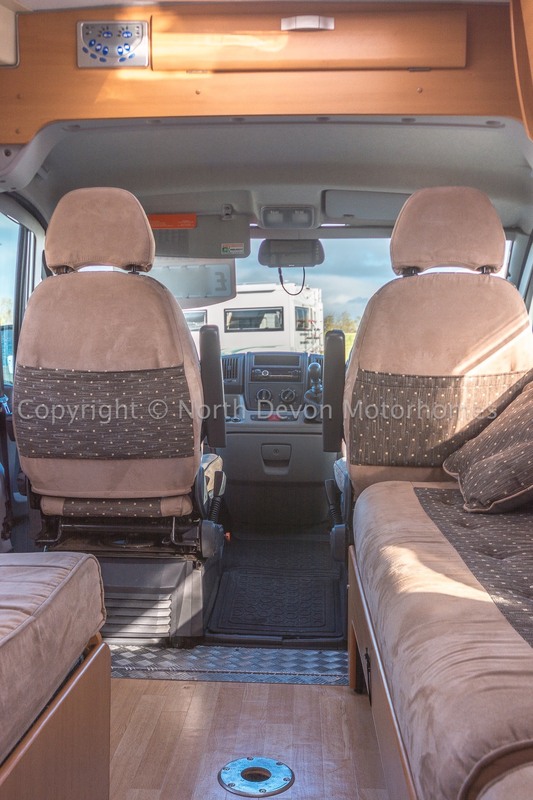 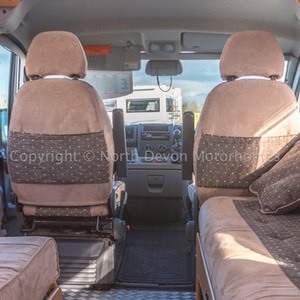 Cruise control, Drivers airbag, Electric Windows and Mirrors, PAS, fitted blinds to windscreen and side windows. 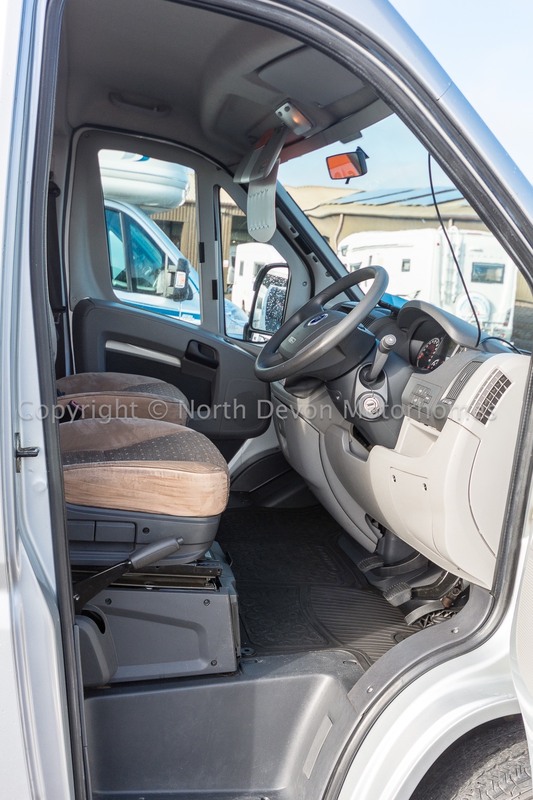 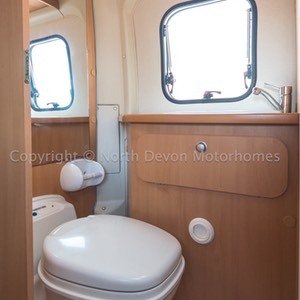 Swivel captains seats, CD radio, reversing camera/mirror. 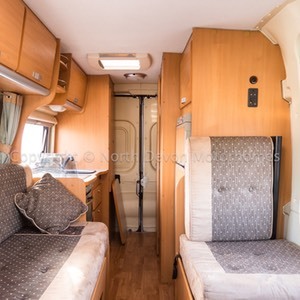 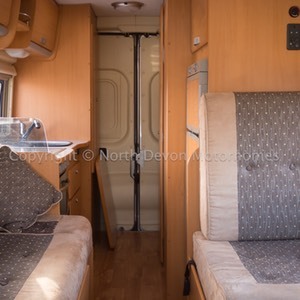 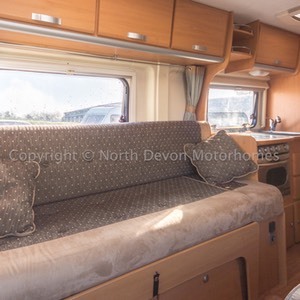 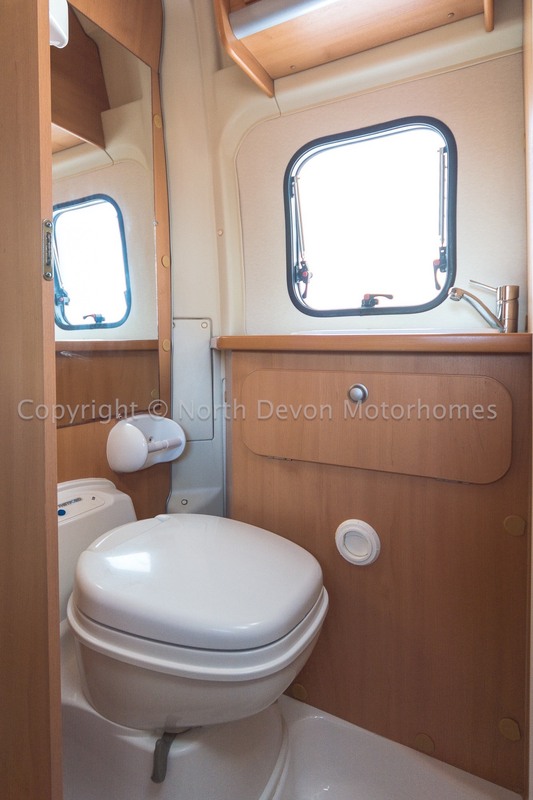 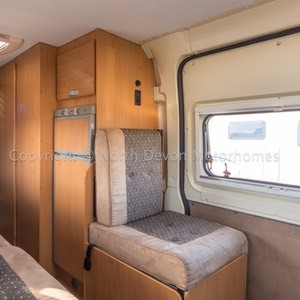 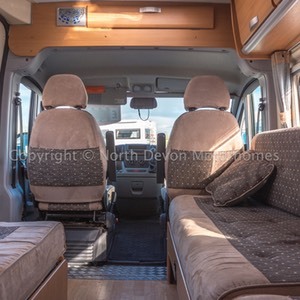 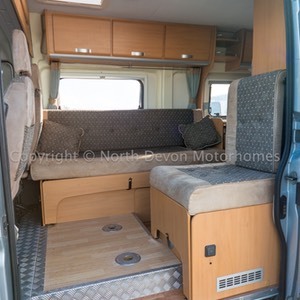 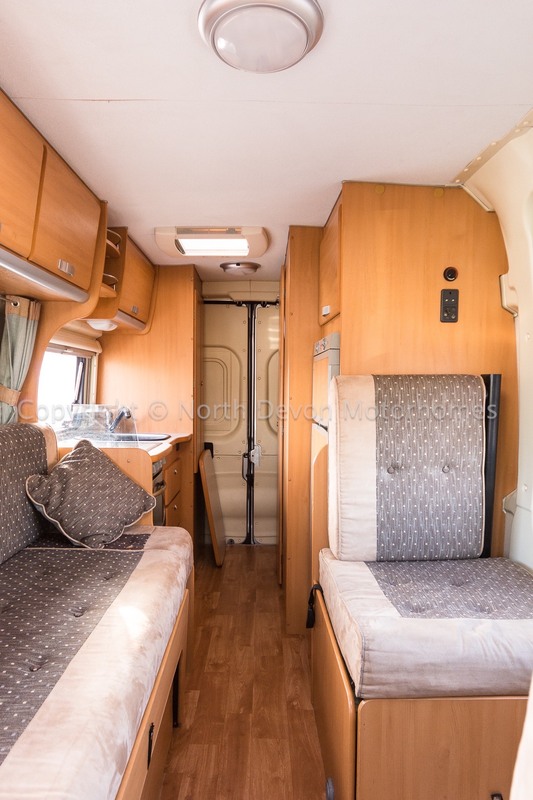 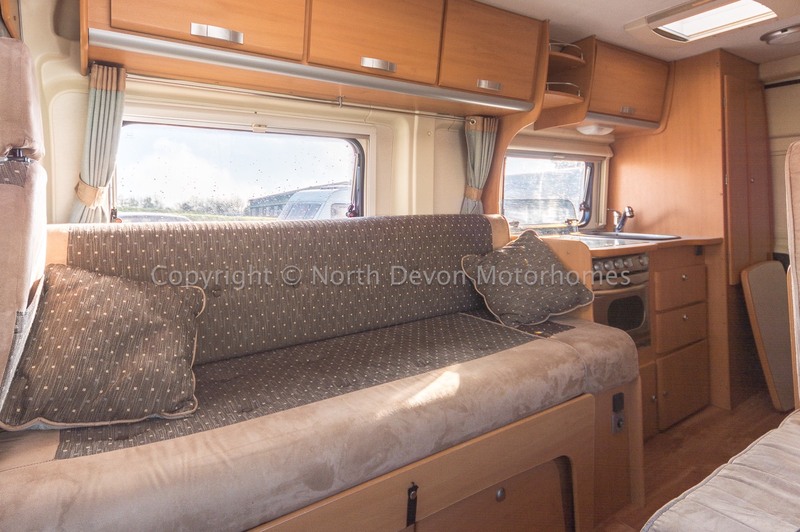 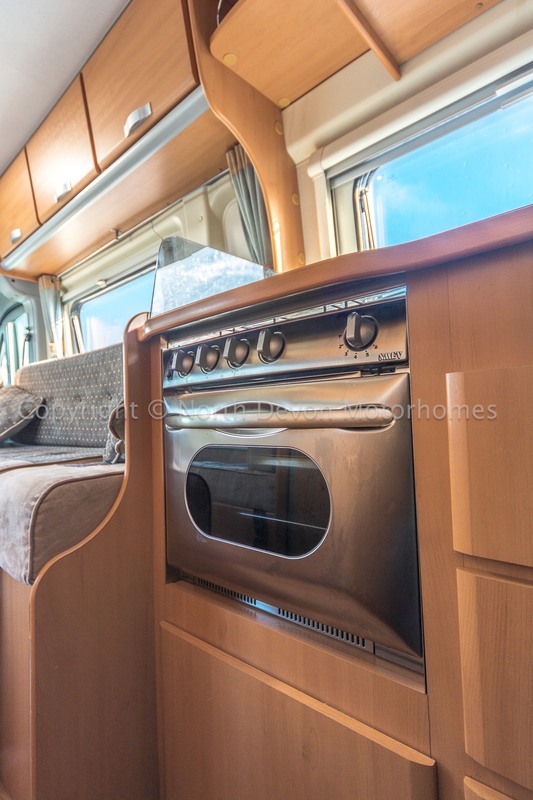 2 Berth high top with side sliding door and 2 rear doors, front lounge end kitchen and washroom. 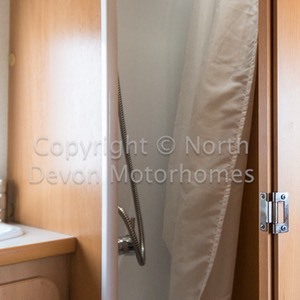 Shower with curtain, Swivel Base toilet, Sink with built in low level storage, High level storage cabinet, Vanity mirror, Hot blown air heating point, Obscure window and Roof light vent, 12V lighting. 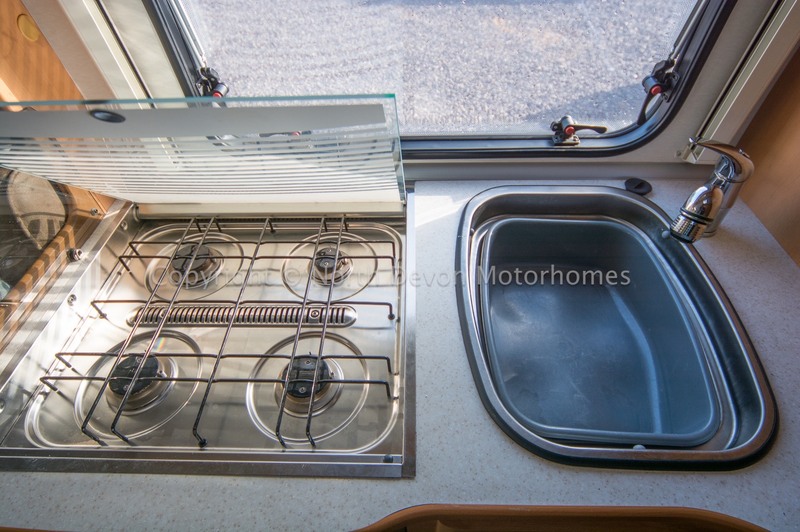 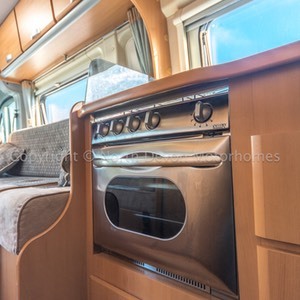 4 burner gas hob, oven and grill unit, sink, ample high and low level storage. 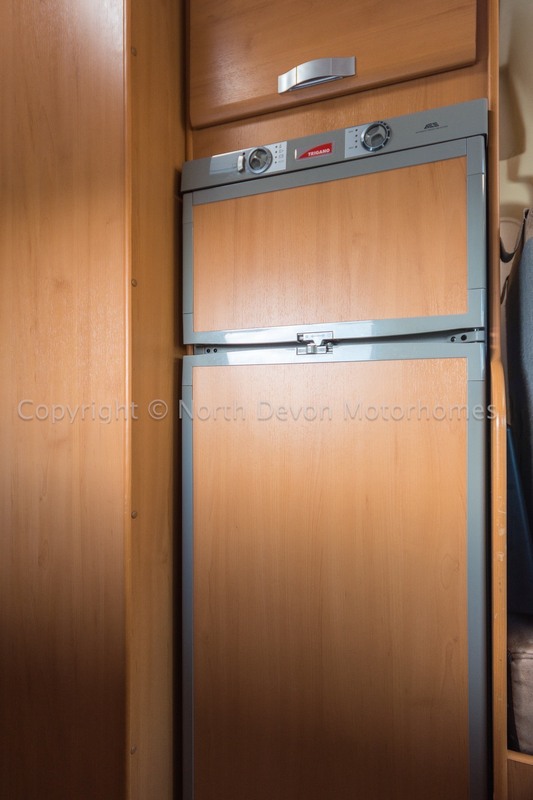 Large fridge with separate freezer compartment, with 3 way/auto energy selection. 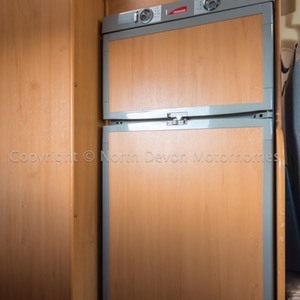 Truma gas boiler providing hot water to kitchen and washroom. 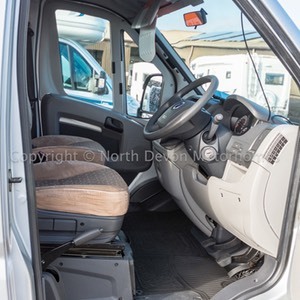 Webasto diesel heater control, extra 3 point seat belt. 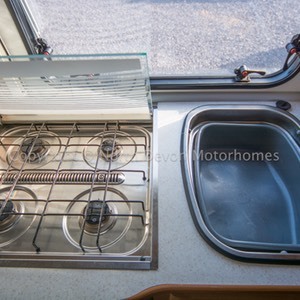 2 single beds or large double. 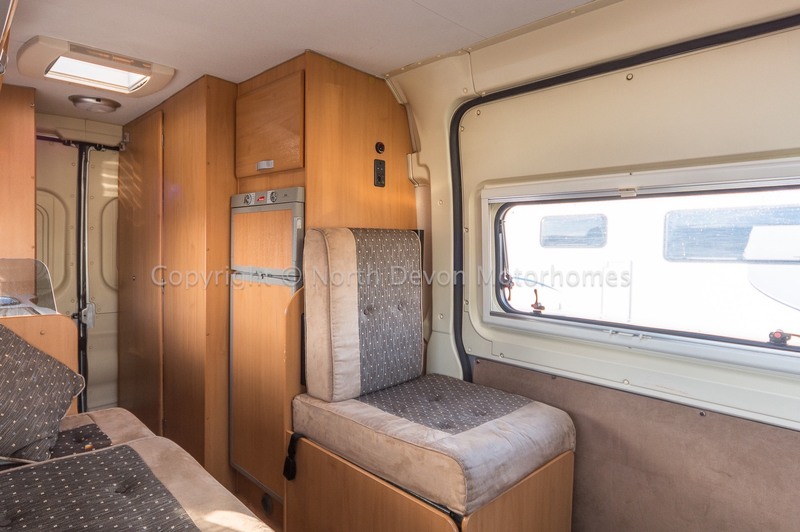 Overhead storage lockers, Large Heki rooflight. 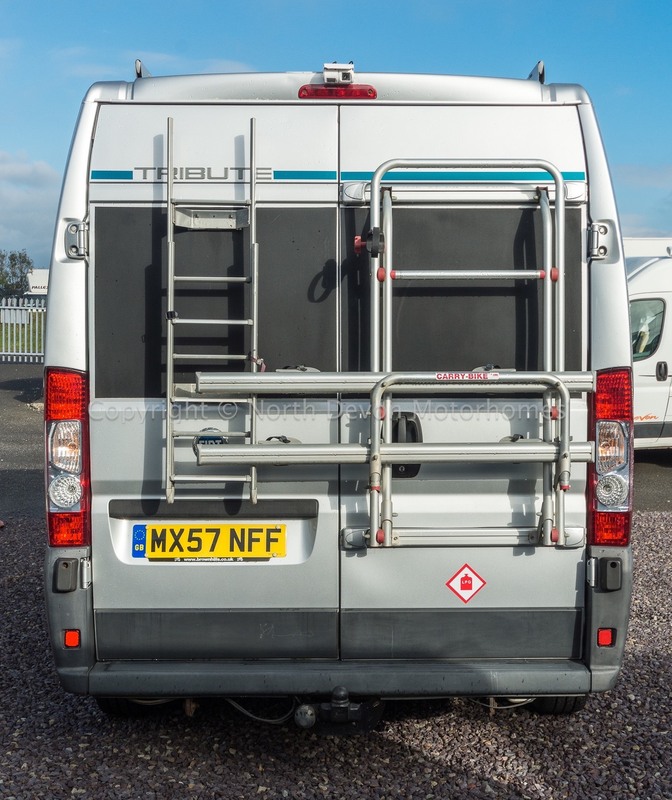 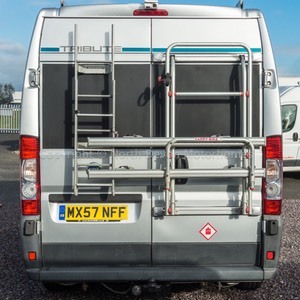 Roof Rack, Rear ladder roof rails and Electric step.